The proposal from Assemblyman Richard Bloom (D-Santa Monica) would repeal the landmark Costa-Hawkins Act, a 1995 law that barred rent caps on single-family homes and apartments built after that year. The act has long drawn the ire of tenant groups, but is considered a cornerstone law by apartment developers and landlords. Lawmakers had made little effort to repeal it before Bloom and two colleagues introduced AB 1506 in February. He also acknowledged that passage this year on the Assembly floor was “much less certain” than in committee. “Looking at the entirety of the legislative process, the right thing is to step back and do additional work with various constituencies,” Bloom said, adding that he was open to listening to “good alternative ideas” that could amend the legislation. The bill currently consists of a simple one-line repeal of Costa-Hawkins. He hopes to have a vote on the bill in 2018, the final year of the legislative term. Repealing Costa-Hawkins always promised to be hard, and both opponents and supporters saw the bill’s introduction as the start of a longer fight over rent control in the state capital. Landlord groups have blasted a Costa-Hawkins repeal, arguing that developers will build fewer homes if they don’t have assurance that their projects can’t be subject to rent control. Dean Preston, executive director of the statewide renters group Tenants Together, said Bloom’s decision to delay a vote on the bill was a “wiser path” because of the opposition. “We all understood from the start that considerable organizing would need to occur,” he said. Dan Schnur, a professor of political communications at USC, said, “Pulling a bill is never a sign of strength,” but that it’s not uncommon for controversial legislation to take several sessions before eventually succeeding. The fight is already heated at the local level as rents have soared during the economic recovery. Median apartment rent for a vacant unit in Los Angeles County has risen 23% in the last three years to $2,390 in January, according to real estate firm Zillow. The statewide median was $2,346, up 26% from the beginning of 2014. In November, voters in two cities in the San Francisco Bay Area, Richmond and Mountain View, passed limits on how much landlords can charge, as well as strong eviction protections that are usually central to rent control laws. But cities can only go so far due to Costa-Hawkins. Today, municipalities cannot impose controls on buildings built after Feb. 1, 1995, and must allow landlords to set rents for new tenants. Before the 1995 law, five cities — including Santa Monica and West Hollywood — limited increases even when units became vacant. About 15 cities in California currently have some form of rent control, including Los Angeles, San Francisco, Oakland and Beverly Hills. Cities with controls at the time of Costa-Hawkins also can’t extend their programs, usually meaning that units built after the late 1970s can’t be covered. That includes Los Angeles, which passed its law in 1978. The city’s law generally applies to buildings built before October of that year and it allows landlords to charge market rent for a vacant unit, but then limits annual increases for tenants at 3% to 8%. 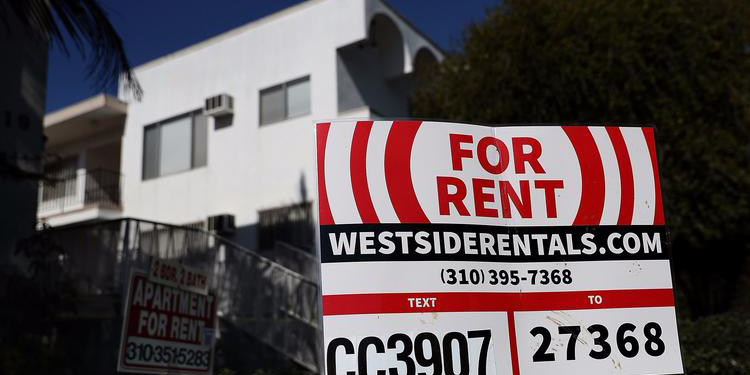 Larry Gross, executive director of the Coalition for Economic Survival, a Los Angeles tenant advocacy group, said that despite the delay, the bill’s introduction in itself has created the possibility of changes once considered far-fetched. Before AB 1506, the only repeal bill submitted was one in 2000 that never came up for a vote, according to Bloom’s office. “It’s the beginning of a groundswell,” Gross said. The Assembly Housing and Community Development Committee is expected to hold informational hearings as early as May on rising rents, including the role that Costa-Hawkins has played in the state’s affordability crisis, according to the office of committee Chair David Chiu (D-San Francisco), coauthor of the repeal bill with Bloom and Rob Bonta (D-Oakland). Bloom said the potential for a repeal to hamper construction is an important issue that “we ought to air and discuss carefully,” given that a housing shortage is a major factor in skyrocketing rents. Still, he said, more must be done to help renters now. “This bill really places a laser focus on what we can do to address the immediate needs of tenants,” Bloom said.